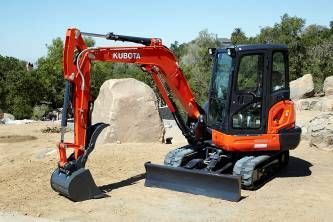 Kubota’s new four-ton KX040-4 packs superior performance, versatility and comfort into one compact machine. 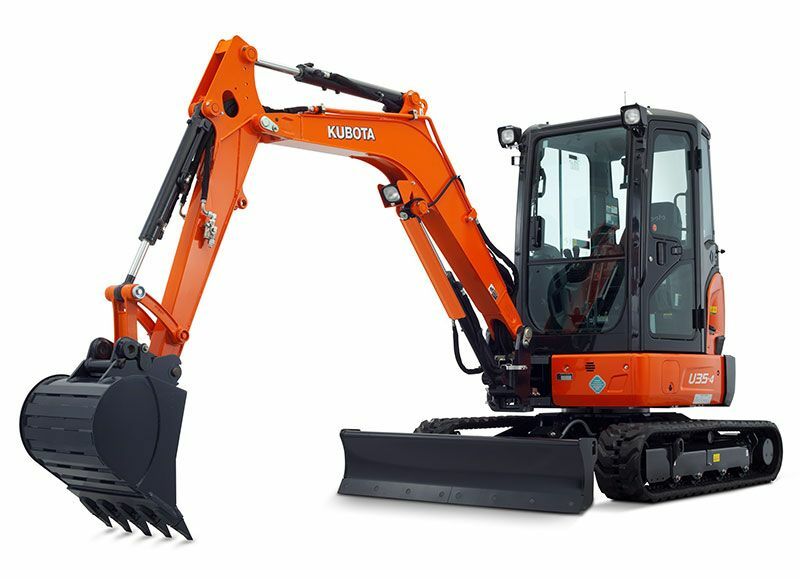 This new excavator leads the pack this year and replaces the KX121-3, Kubota’s single most popular model. 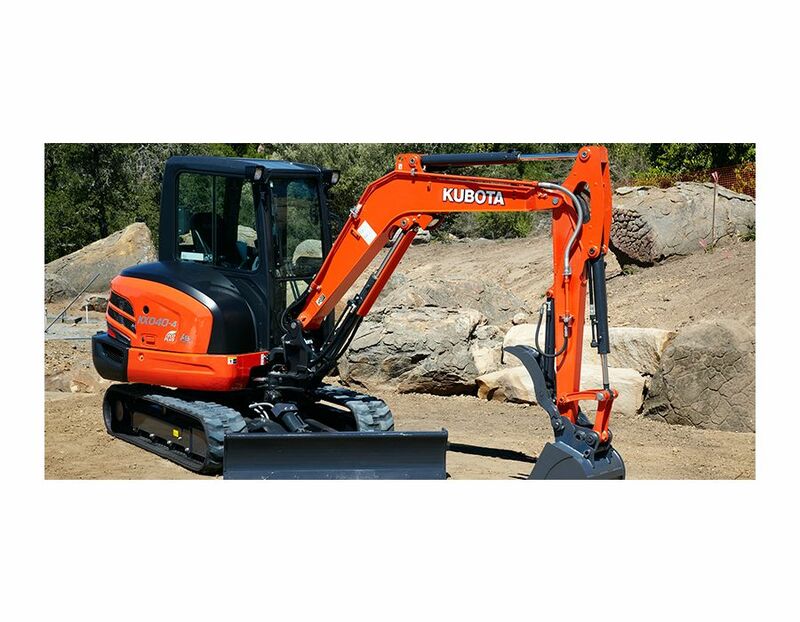 The KX040-4 prioritizes the economy and supports the environment with its “Eco Plus” system, giving operators the option of “eco mode” for up to 20 percent less fuel consumption than prior models. For applications that require full power, operators can switch to standard mode and still experience improved efficiency and lower fuel consumption. Common Rail & DPF - The Common Rail System (CRS) electronically controls the fuel injection timing and amount in stages rather than all at once for optimal combustion. The results are great efficiency, better fuel economy and less engine noise. Its combination with the Exhaust Gas Recirculation (EGR) and Diesel Particulate Filter (DPF) Muffler reduces harmful emissions to make the KX040-4 Tier IV-compliant. 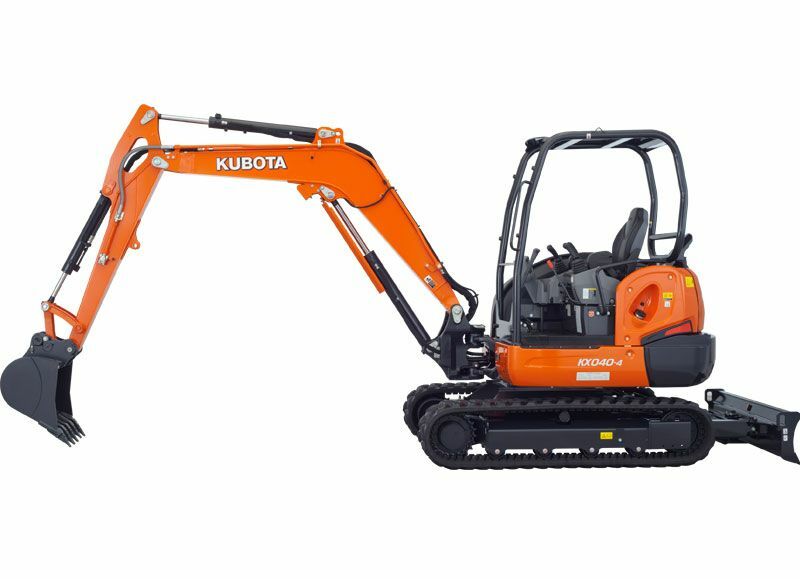 Auto Regeneration - Kubota’s original automatic regeneration system automatically burns accumulated particulate matter (soot) in the DPF muffler to keep the muffler clean for longer operation. 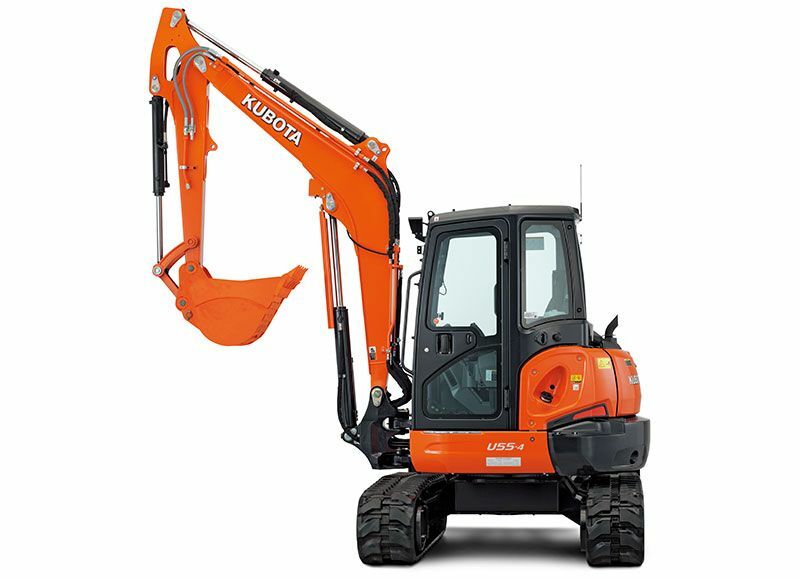 For safety reasons, automatic regeneration can be turned off with the inhibit switch when the excavator is operating in areas that may pose a fire hazard. 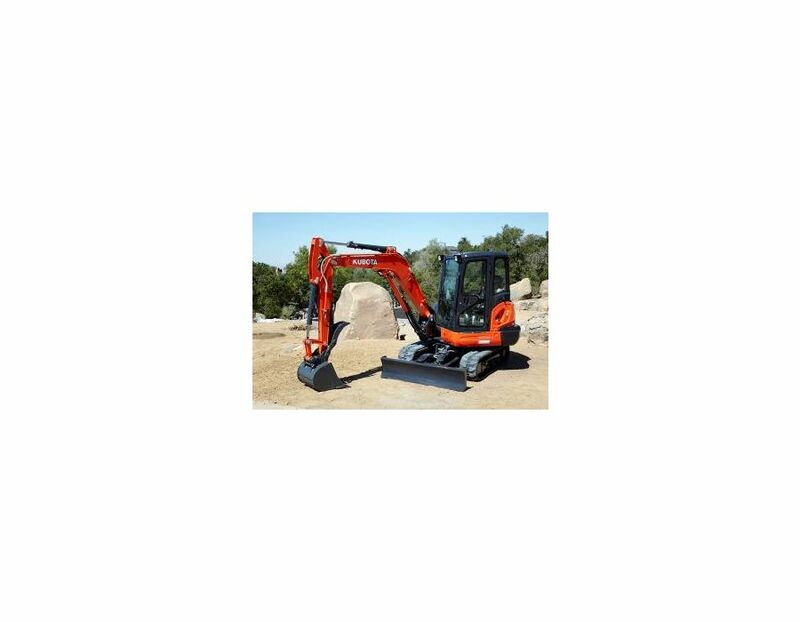 Eco-Plus - For tough digging applications, use Standard Mode and experience a 3% productivity improvement over the prior model and use less fuel, up to 12% less. Activate Eco Mode with the flick of a switch for up to 9% fuel savings over Standard Mode. Auxiliary Flow Control - The KX040-4 is available with a standard auxiliary circuit. The convenient thumb-operated switch on the control lever allows easy proportional flow control of the auxiliary attachment, while a forefinger- operated on/off switch enables simple operation of attachments that require a constant oil flow. The maximum oil flow setting is conveniently adjustable from the digital panel. Up to five flow rates corresponding to specific attachments can be programmed in the memory on the digital panel for easy retrieval for the next job. 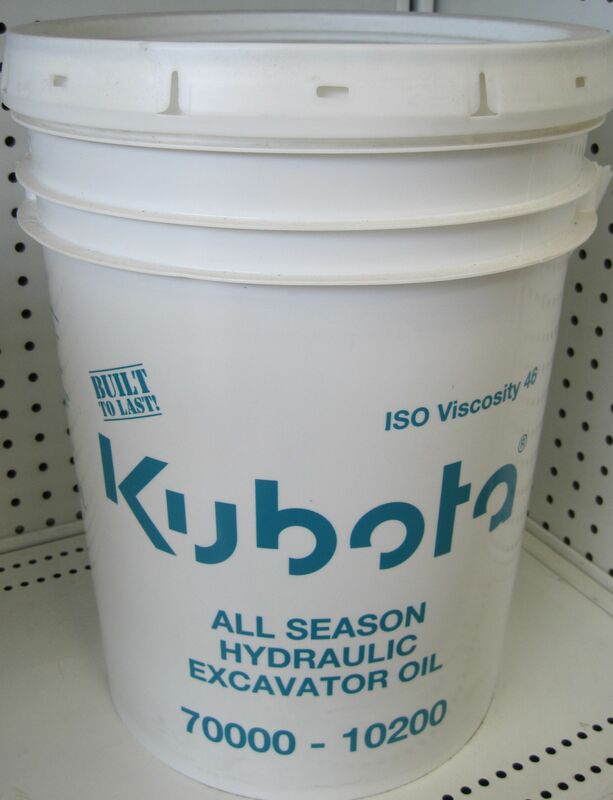 Auto Idle - Save fuel with Kubota’s Auto Idle. When the control levers are in neutral for more than 4 seconds, the engine RPM automatically idles. Move any control lever and the engine RPM immediately returns. This innovative feature reduces noise and exhaust emissions while reducing operating costs. Load Sensing Hydraulics - You no longer need to change lever strokes to adjust the amount of oil required for varying job loads—control valves automatically regulate and distribute the optimum amount of oil to each cylinder based on the weight of the load, resulting in perfectly matched speed, power, and cylinder timing. Even the slightest operator movements produce smooth and simultaneous operation of the boom, arm, bucket and house. Accumulator - The accumulator makes replacing attachments safer and more efficient. Turning the key to the “on” position clears residual pressure in the auxiliary hydraulic hose. If the engine is accidentally shut off while the front attachment is raised, turning the key to the “on” position allows you to safely lower it. New spacious cab - The KX040-4 raises the standard in 4-ton excavator comfort with a spacious cab that rivals larger excavators. The luxurious cab features a wider entrance, greater legroom and a deluxe seat. Operation is greatly enhanced with more easy-to-use features than ever before. 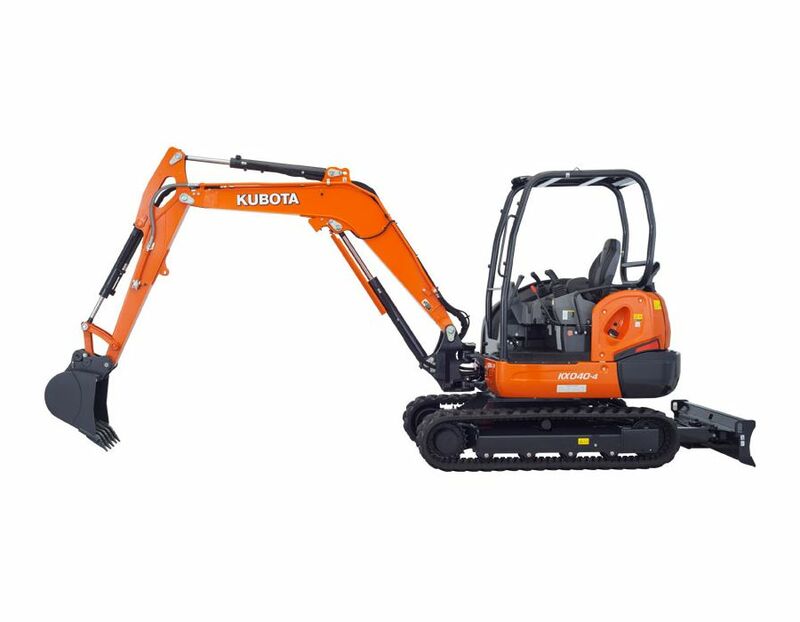 The Kubota KX040-4G Excavator Four-Ton is available at Kooy Brothers Equipment Ltd. located at 1919 Wilson Avenue in Toronto, Ontario.